The 2013 tax return for the Washington D.C.-based charity American Friends of Bilderberg. 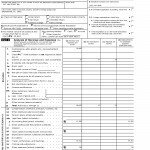 The 2012 tax return for the Washington D.C.-based charity American Friends of Bilderberg. 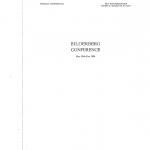 The 63rd Bilderberg conference is set to take place from 11 – 14 June 2015 in Telfs-Buchen, Austria. A total of around 140 participants from 22 countries have confirmed their attendance. As ever, a diverse group of political leaders and experts from industry, finance, academia and the media have been invited. The 62nd Bilderberg meeting is set to take place from 29 May until 1 June 2014 in Copenhagen, Denmark. A total of around 140 participants from 22 countries have confirmed their attendance. As ever, a diverse group of political leaders and experts from industry, finance, academia and the media have been invited. 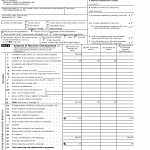 The 2011 tax return for the Washington D.C.-based charity American Friends of Bilderberg. The 61st Bilderberg meeting is set to take place from 6 until 9 June 2013 in Hertfordshire, UK. A total of around 140 participants from 21 European and North American countries have confirmed their attendance. As ever, a diverse group of political leaders and experts from industry, finance, academia and the media have been invited. The 2010 tax return for the New York charity American Friends of Bilderberg. Official list of participants for the 2011 Bilderberg Meeting in St. Moritz, Switzerland. The 59th Bilderberg Meeting will be held in St. Moritz, Switzerland from 9 – 12 June 2011. The Conference will deal mainly with Challenges for Growth: Innovation and Budgetary Discipline, the Euro and Challenges for the European Union, the role of Emerging Economies, Social Networks: Connectivity and Security Issues, New Challenges in the Middle East, Conflict Areas, Demographic Challenges, China, Switzerland: Can it remain successful in the future? 2007-2009 Tax Returns for American Friends of Bilderberg, Inc.
An accurate version of the participant list for the 2010 Bilderberg Meeting in Sitges, Spain from June 3-6, 2010. An earlier version of this list that was circulated on many sites was in fact a copy of the 2009 participant list. In the world of international finance, there are those who steer the events and those who react to the events. While the latter are better known, greater in numbers, and seemingly more powerful, the true power rests with the former. At the centre of the global financial system are the financial oligarchy today represented by the Bilderberg group. Bilderberg organization is dynamic, in that it changes with the times, absorbs and crates new parts while excreting the remains of the decaying parts. Members come and go, but the system itself has not changed. It is a self-perpetuating system, a virtual spider web of interlocked financial, political, economic and industry interests. Now, Bilderberg isn´t a secret society. It is not an evil, all-seeing eye. There is no conspiracy even though a lot of people with their infantile fantasies see it as such. No group of people, and I don’t care how powerful they are, sit around the table in dark room, holding hands, staring at a crystal ball, planning the world´s future. The 57’h Bilderberg Meeting will be held in Vouliagmeni, Greece 14 – 17 May 2009. The Conference will deal mainly with the financial crisis, governments and markets, role of institutions, market economies and democracies, Iraq, Pakistan and Afghanistan, US and the World, cyberterrorism, new imperialisms, protectionism, post-Kyoto challenges.